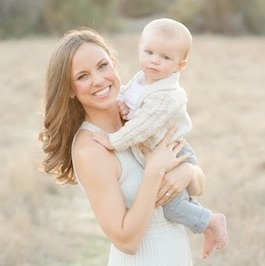 Also, when I first started blogging I did a lot of sharing of photographs of our home, but I noticed I stopped doing that. I have become too busy, or, when I have free time I have enjoyed doing other things more, rather than shooting our house. But, I think I'm coming back around and ready to start sharing a bit more again. Especially because I find it fascinating to look back in the blog and see how much my style has evolved! 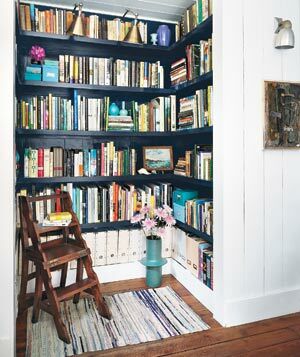 this was once a closet, isn't it incredible what you can do with a small space? 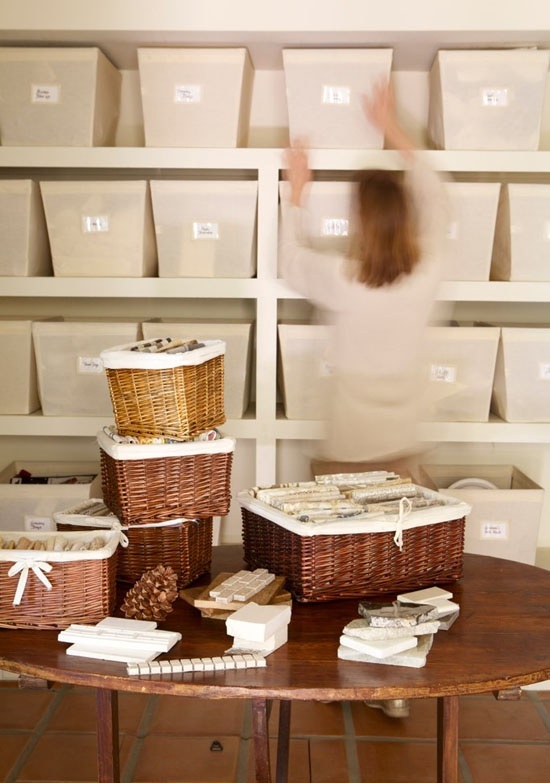 Break up white file folders with baskets- this adds texture to a space making it more inviting. I like that one of the shelves is open and she displayed some personal art, again, this just makes what could have been a more sterile space, more casual and adds dimension. 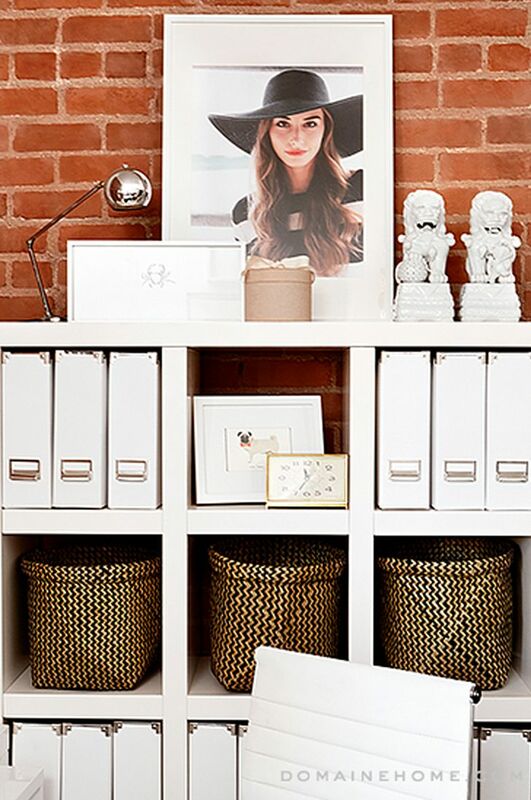 A large space like below is not needed to keep you office organized in your home (I don't think that a large population of people even have a home office)- but, you can take a shelf in a closet and stack some pretty boxes to store your paperwork, family photos, office supplies, gift wrap, etc. 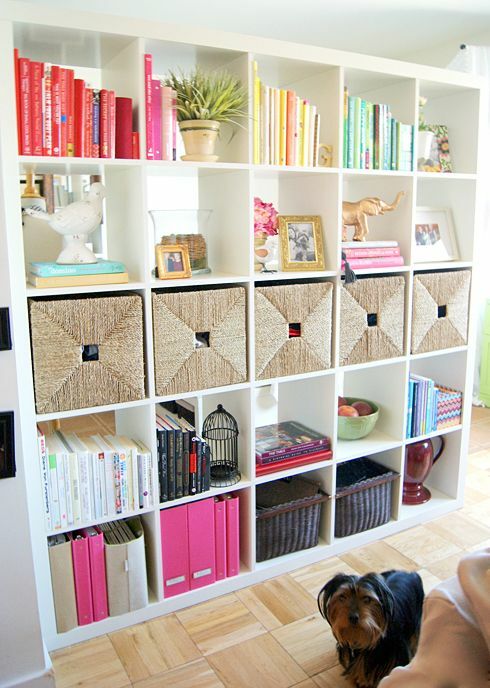 again, going back to the keeping a space inviting, here they did that with colored storage. 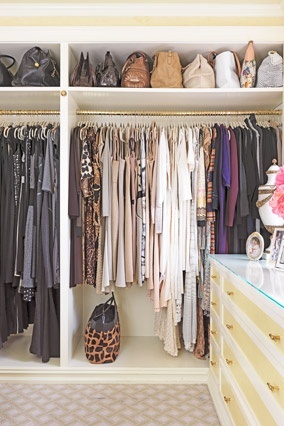 When it comes to closets, there a lot of us that are not blessed with a ton of space (myself included) and this is when we must become even more creative. 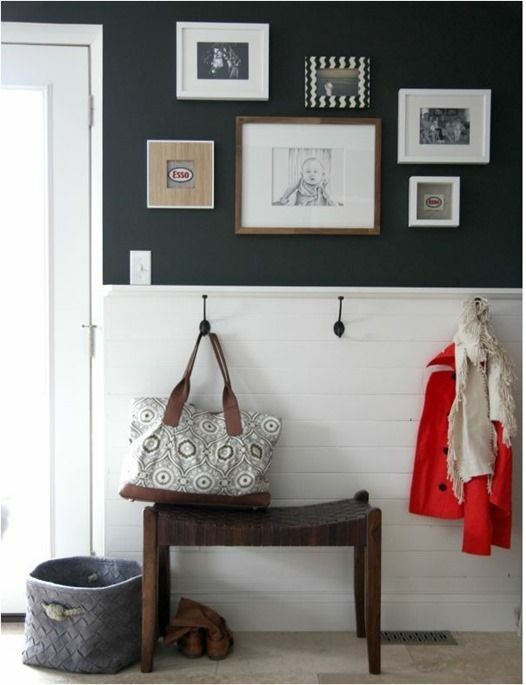 I think sometimes it's hard to look at images on pinterest, magazines, etc. and not feel defeated when thinking about your own closet. This can lead into the... "if I had that much space my closet when be organized", or, "their closet only looks like that because they have the means to to bring in a professional to do it for them". 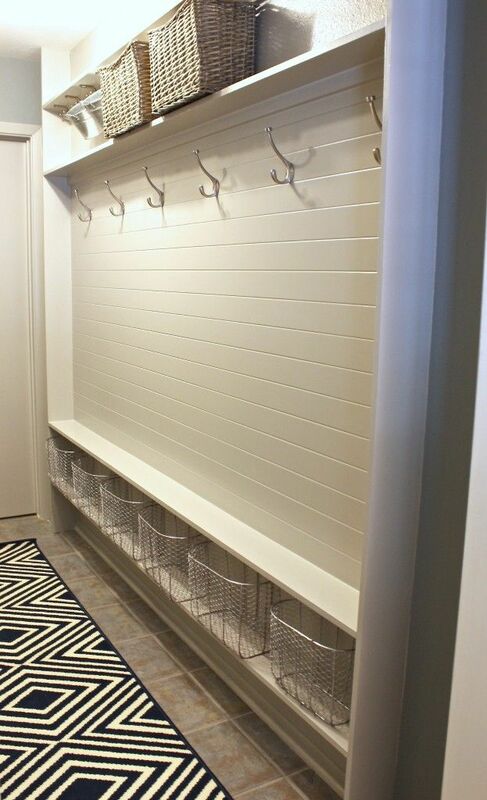 I think even in the smallest spaces, and on the smallest budgets, you can make a closet functional. Typically the first thing to do: purge as much as you can! I'm happy to also start sharing more images of how I keep my one side of the closet organized. Not saying it's perfect, but it works for now. 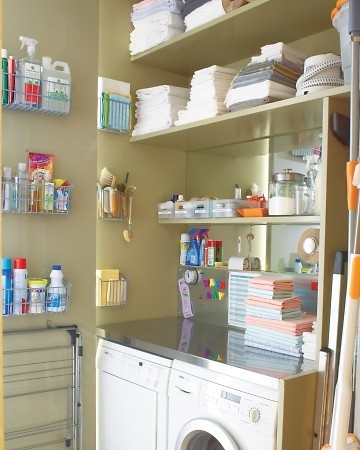 Here is another area of a home that can be difficult to organize if you don't have the space. We have a very narrow entry hall that is practically impossible to make functional because of the width. I finally put up a mirror and plan to add some hooks, but again, the less space, the more challenging it becomes. 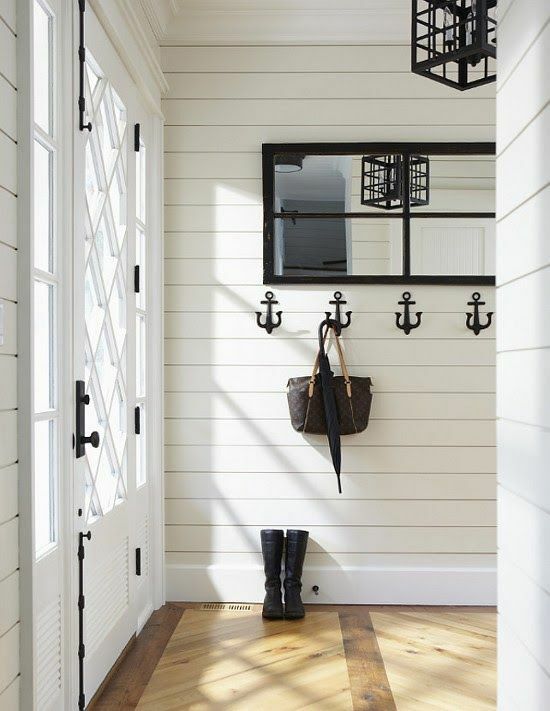 I've been leaning towards these hooks from West Elm for our entry, but can't decide I'm willing to commit to the anchors. There are many more images I'd like to post, but I'll save them for later. Here is the last one. They truly maximized their space! I'll be back soon with updates from around the house/organization projects. 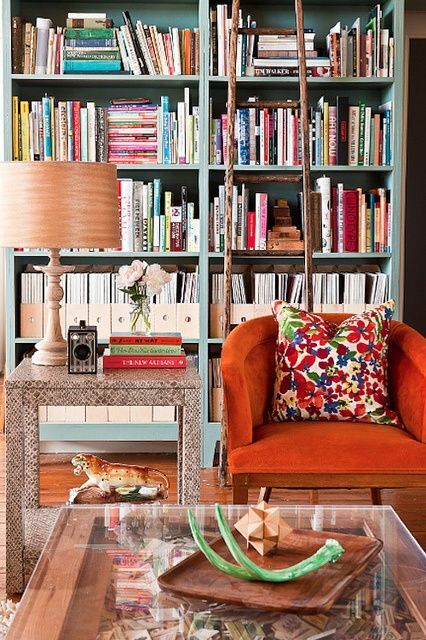 If you plan to organize this spring, would love to hear about the projects you plan to tackle!